Over the past few months I’ve given away many of my dishes in an attempt to simplify. Getting down to basics helps to reduce that massive pile of dirty dishes to the left of the sink. 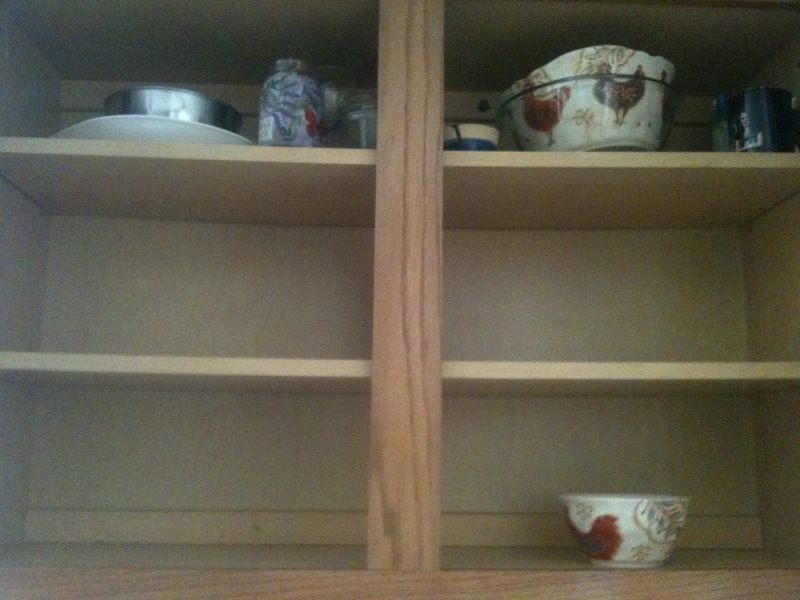 The fewer dishes you have, the fewer dirty dishes you will have. Nice and simple, no clutter. 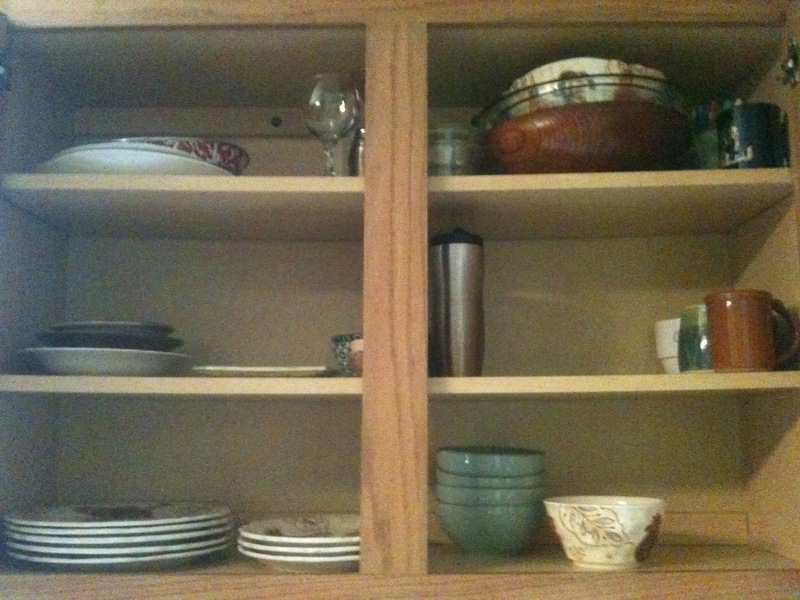 It is easy to find everything, and is pleasant to my eyes when I open the cupboard. This entry was posted in home, kitchen, organizing, simplifying. Bookmark the permalink.